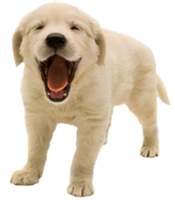 In your search for a veterinary facility, we believe you should expect a high quality of care as well as great service. Our goal has been to assemble a veterinary health care team committed to providing exceptional client service and veterinary health care. Our commitment to you is to continue to offer our world class service and a state-of-the-art veterinary facility. Your pet's annual wellness visit will include both complete physical and physiological examinations. These examinations will cover all aspects of your pet's health and can tell us through Digital Thermography if your pet has any areas of pain or inflammation that previously could not be detected. A good history is integral in helping us keep your pet healthy so please keep track of small shifts in your pet's behavior, including changes in drinking and urinating, mood swings, appetite and dietary changes and changes in routine. These seemingly unrelated occurrences may help explain results of your pet's medical tests. Our veterinarians aspire to be calm, compassionate and willing to explain all the procedures your pet undergoes. We hope that both you and your pet feel comfortable in our hospital. Our clinic offers qualified staff and facilities to undertake all phases of Veterinary medicine and surgery with exceptional levels of care such as advanced diagnostic equipment, Digital Thermography, Digital Radiography, PRP treatments, many variations of pain management, rehabilitation services and aftercare along with all wellness services. We look forward to your first visit!